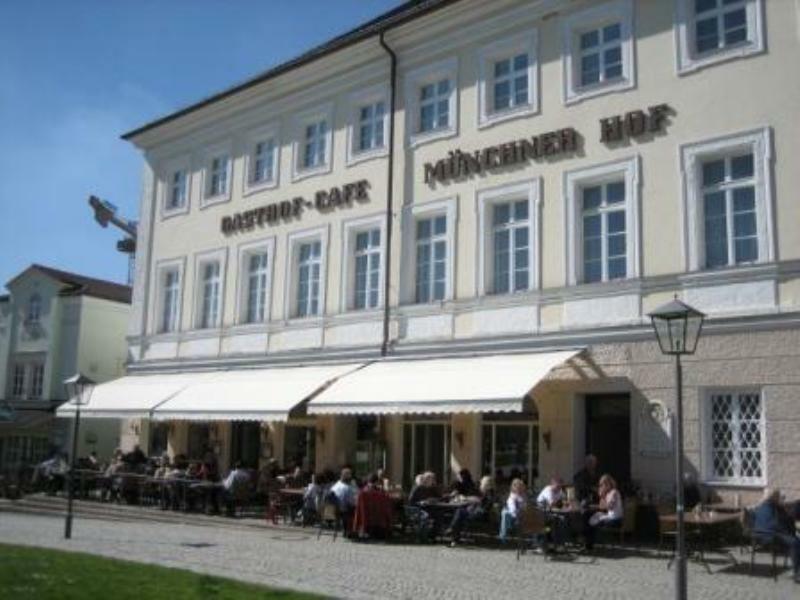 The Gasthof Münchner Hof is a traditional restaurant/café situated in a magnificent historic building in the centre of Altötting. Diners sit up on the terrace, follow the goings-on down on Kapellplatz and enjoy the view of the historic buildings in the town. 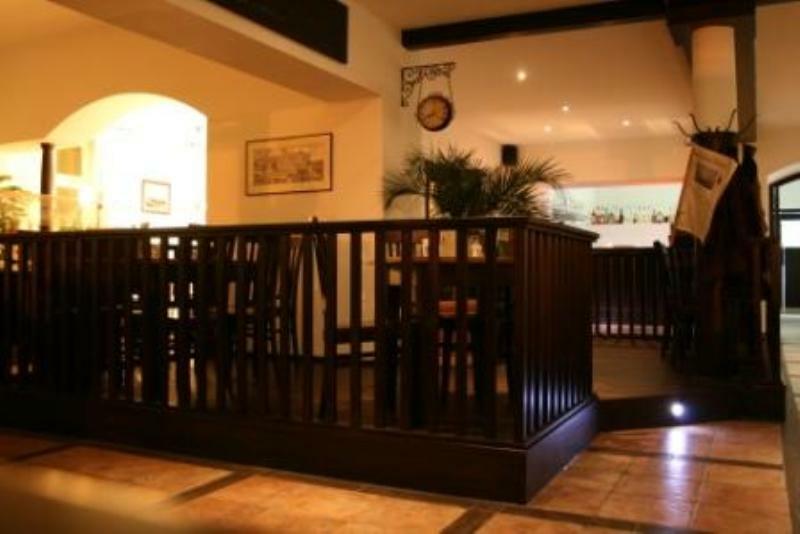 The Gasthof is a spacious restaurant. 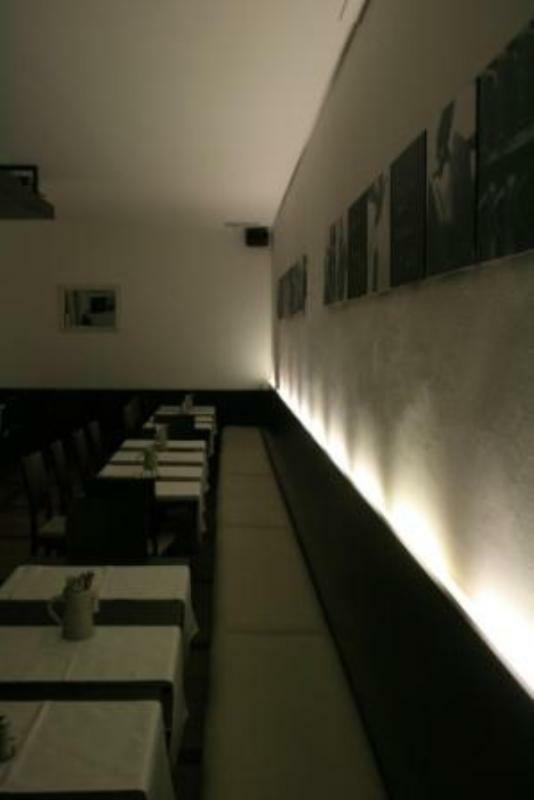 It serves traditional German dishes. 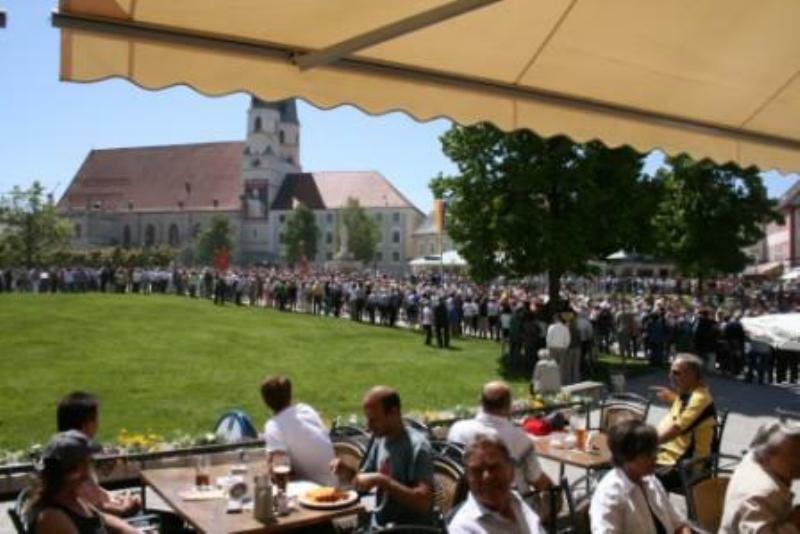 It offers Bavarian breakfast, local lunch dishes, pies, cakes and various types of coffee in the afternoon. It also offers various contemporary and quality evening meals with a salad buffet. The wine list includes German, Austrian and international wines. The bar menu offers classic cocktails, long drinks and trendy drinks, such as Red Bull and Bionade. There are four rooms of various sizes available for parties and meetings and they have state-of-the-art equipment. Returning guests are rewarded with loyalty bonuses and discounts – for example, on their favourite drink.